Home » The Baratza Encore vs. Capresso Infinity: Which is the Best Conical Burr Grinder for You? The Baratza Encore vs. Capresso Infinity: Which is the Best Conical Burr Grinder for You? The Capresso Infinityand Baratza Encore are two of the most popular conical burr grinders available on the market today and can give you the coffee house experience in the comfort of your home. But, which is better? 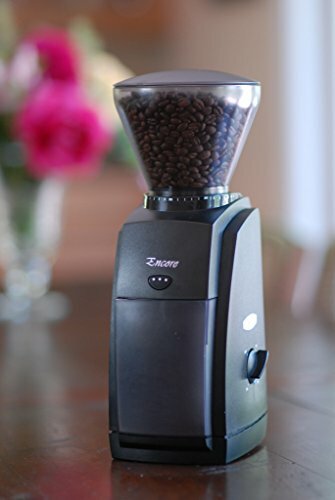 If you are anything like me, spending around $100 on something like a coffee grinder requires some due diligence to make sure I’m getting the best product for my money. Today I’ll compare the Capresso Infinity and Baratza Encore with the help of verified purchases I affectionately call my Coffee Brigade. 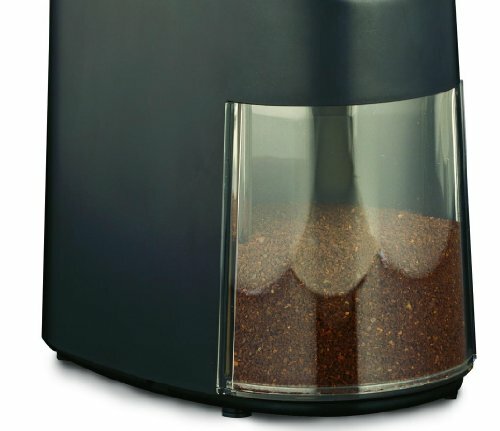 These online reviewers of all-things-coffee combined with my research will help you decide which grinder is best for you. Spoiler alert: at the end of my review, I’ll provide a cheat sheet for you to reference later (or now if you just can’t wait to get grinding). The Baratza Encore is a conical burr grinder that features 40 individual settings and a pulse button to allow easy customization each time your grind. 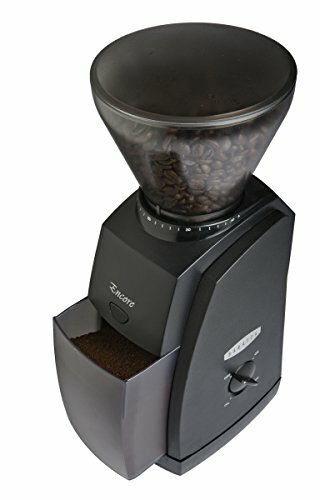 My first impression of the Baratza Encore is that it looks like a standard grinder. There’s a hopper on top for the beans and the various accouterments you need to transform said beans into grinds. I doubt any coffee drinker is buying this grinder based on style alone since it is somewhat utilitarian in appearance rather than a chromed-out masterpiece ready for display on your countertop. Vanity aside, online reviewers love this grinder and suggest those new to grinding at home give it a try. The Baratza Encore is known as the reliable choice for both newbies and those that like to customize their grind. If you are grinding at home, chances are you know how important it is to get that perfect grind for the way you brew. If you use a pour-over method using a Chemex, you want a coarser grind. For those that need grinds for an on-the-go espresso using an AeroPress Coffee and Espresso Maker, which requires a grind with a finer texture. The Baratza Encore features 40 different grind settings from fine to coarse which sounds great, but what do users have to say about the accuracy of the settings and how the machine works? Thank goodness for online reviews! People who love coffee love to share the best coffee beans, machines and methods they find to help others like them brew their perfect cup. They also feel a profound responsibility to warn other coffee lovers not to waste their time on sub-par beans, machines and everything in between. Aside from user reviews, I also seek out expert opinions on all-things-coffee, one of my favorite sources being Seattle Coffee Gear. Their “Crew Review” video series features an expert brewer who walks viewers through the features of at-home brewing machines and grinders so they can see how they work before they buy. If you are a control freak like me, you want a grinder you can adjust from start to finish. The Baratza Encore has a simple power switch and adjustable speed option (ranging from 405-495) that even the most technologically challenged users can find and operate. It also features a pulse option to start and stop grinding easily. When it comes to the grind, reviewers claim the Baratza Encore covers all the bases except one: the ultra-fine grind. Ultra-fine is the most extreme grind used to produce the powder-like texture used to brew Turkish coffee or the finest espresso. According to online reviewers, if you want this kind of specialty grind, you ought to look elsewhere. Aside from that, this grinder did not disappoint your average brewer. Many reviewers commented how they were surprised not only at how well the Baratza Encore performed but that it does so consistently for much longer than they had anticipated. 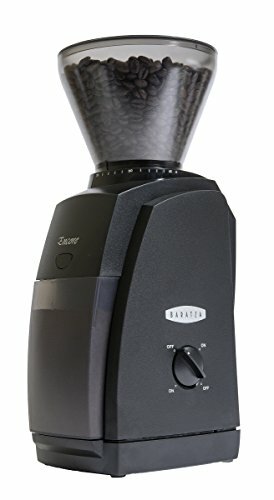 Verdict: The Baratza Encore is ideal for new grinders, especially those that like more control over the brewing process. This Swiss-developed Capresso Infinity features 16 settings from ultrafine to coarse and comes equipped with a timer allowing hands-free grinding. I think this grinder looks nicer than the Baratza Encore, the clear plastic giving it a more refined look which is ironic since it is the cheaper alternative. Since it offers fewer settings, it seems inferior to the Baratza, yet reviewers say otherwise (we’ll get to that later). I like the timer feature and am curious to see why this cheaper option compared to the Encore is so popular. The Capresso Infinity is known as the grinder that can consistently produce the fine grind needed to brew espresso drinks, especially of the Turkish variety that requires grinds with a powder-like consistency. 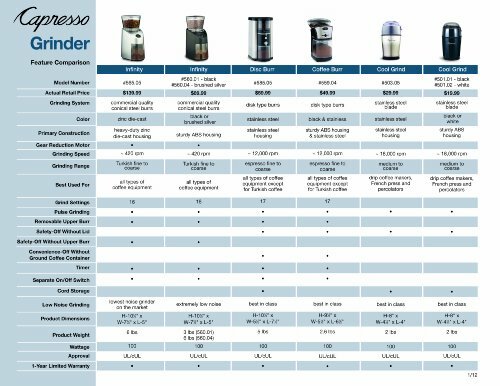 I was surprised to learn that many online reviewers believe the Capresso’s 16 settings offer more variety of grinding options versus the Baratza’s 40! While on paper it might now make sense, the proof is in the grind. Reviewers say that while Baratza’s Encore has mastered the art of producing medium to coarse grinds, its’ fine and ultra-fine settings have not met their expectations. Most reviewers claim the Baratza can’t produce a grind fine enough for Turkish coffee so if that’s your beverage of choice, you should check out the Infinity instead. The Coffee Brigade likes the timer option on the Infinity with most citing the convenience and time-saving aspect of not having to manage the process manually. This feature also takes the pressure off the user from determining how long to grind the beans, especially for those new to grinding at home. If you like espresso, you must have a grinder that can give you the best chance at brewing your perfect cup which means, it must produce an ultra-fine grind. Even if you don’t drink espresso or Turkish coffee on a regular basis, it’s nice to know your grinder can perform when needed for guests. Is the Capresso Infinity a professional-grade grinder that will create dust on demand? No, but for an entry-level machine, it’s the closest you will get for the price. Does anyone enjoy the sound of a squealing grinder first thing in the morning? It’s hard enough to make a pot of coffee with your eyes at half-mast, there’s no need for that noise pollution. 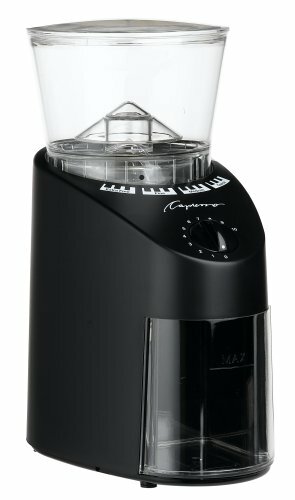 Verdict: If you want a precise grind with a timer for under $100 that is relatively quiet, the Capresso Infinity grinder is the one for you. 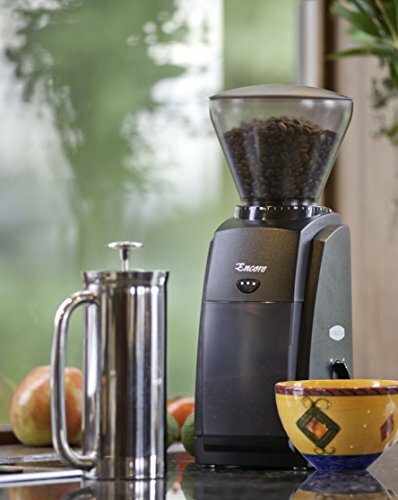 Conical burr coffee grinders like the Baratza Encore or Capresso Infinity can help take your love of coffee to the next level by providing you the grinds you need to get the coffeehouse experience at home. Which is best? Well, it’s up to you, and I hope by now this information has helped you decide. It’s time to put that stale bag of pre-ground coffee in the trash where it belongs and get grinding! Good luck! Previous Post: « 3 Best Reusable K Cup Filters for Keurig: DIY K-Cups Save Money!